Scientists want to understand how prostate cancer progresses so as to identify possible therapeutic targets. Although they have profiled the cancer using DNA microarrays, the genetic changes and biological processes that occur during important transitions in its progression are not yet well understood. Dr. Arul M. Chinnaiyan from the University of Michigan Medical School in Ann Arbor and his colleagues have found a way to profile prostate cancer progression from benign epithelium to metastatic disease using laser microdissection. Previous microarray studies could obtain tissue only from very large areas of a dissected tumor. This meant that the dissected tissue included a mixture of several types of cells, such as stromal, blood and epithelial. The varied mixture did not allow the scientists to focus on the individual cancer-causing cells. Using laser microdissection, researchers have found a way to profile prostate cancer progression from benign epithelium to metastatic disease. They identified cells of interest with laser microdissection (A), cut the area away with a near-IR laser (B) and lifted the selected cells away from the tissue to study them (C). They discovered that they could use laser microdissection to focus on the cells of interest — that is, epithelial and stromal — separately. They used the SL Microtest device with μCUT software from MMI of Manchester, N.H., to isolate 101 specific cell populations that represented the progression from benign epithelia to metastatic disease in 44 individuals. 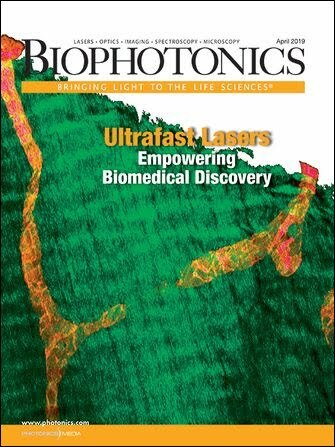 During laser microdissection, a near-IR laser allowed the researchers to carve out the epithelial and stromal cells under the microscope by melting an acetate membrane over the tissue. The membrane stuck to the selected cells so that they could be separated without disturbing the surrounding tissue and placed in a test tube. The researchers used a whole-transcriptome amplification kit developed by Rubicon Genomics, also of Ann Arbor, to amplify the isolated RNA from the selected cells. According to Chinnaiyan, this ability to combine RNA amplification, which is a relatively new technique, with laser microdissection is what makes the detailed profiling of the cancer’s transitions possible. To understand more about the biology behind the cancer’s alterations, they analyzed their data with the Molecular Concept Map, a collection of biologically related gene sets that shows the associations between any two gene sets (or molecular concepts) in the database. This integration allowed them to map the alterations they found in each stage of the cancer’s progression with the biological knowledge base that had already been well established. They now have a fairly detailed model of progression from benign epithelium to metastatic disease. The researchers would like to see whether they can use some of the main markers of cancer progression that they discovered as therapeutic targets. They also hope to map out some of the other alterations from the surrounding cells that occur so they have a better understanding of the relationships between the cancer cells and normal cells. Nature Genetics, January 2007, pp. 41-51.